Living sloths are medium-sized, very slow-moving, arboreal mammals of South America & Mesoamerica. During the middle & late Cenozoic, several large, ground-dwelling sloth species existed in the Americas. 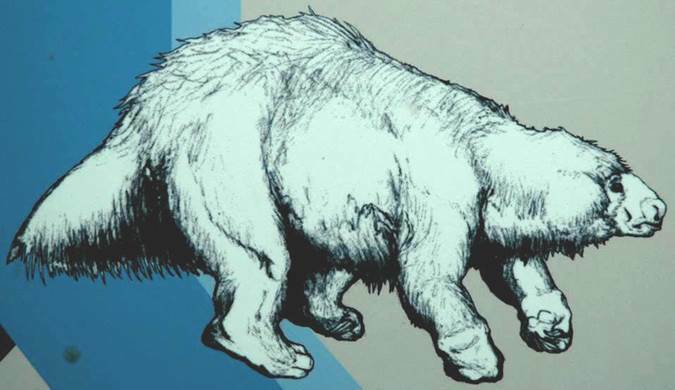 Shown below is one of the giant ground sloths known from the late Pleistocene of North America. 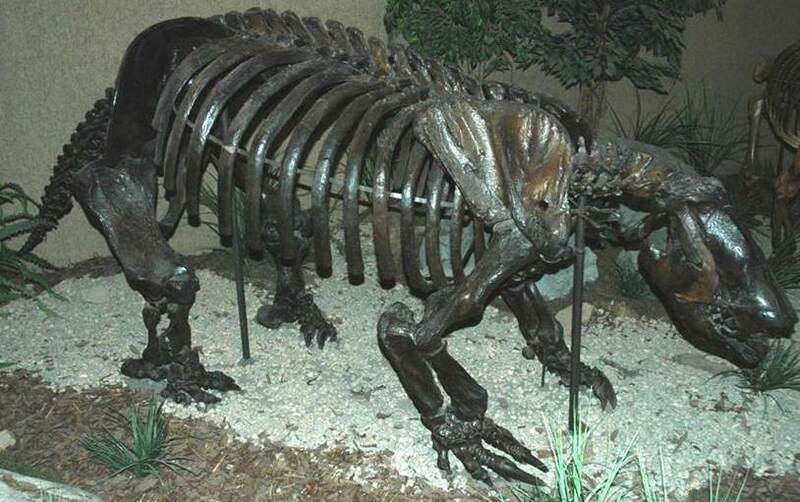 This is Harlan’s ground sloth, Paramylodon harlani (a.k.a. 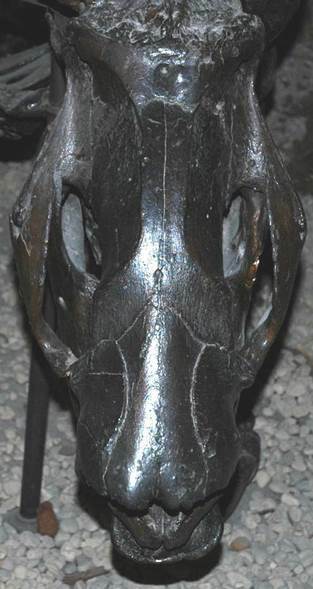 Glossotherium (Paramylodon) harlani), which got to be 2 meters long. Paramylodon harlani Owen, 1840 - Harlan’s ground sloth skeleton from the La Brea Tar Pits (~uppermost Pleistocene) of Los Angeles, southern California, USA. 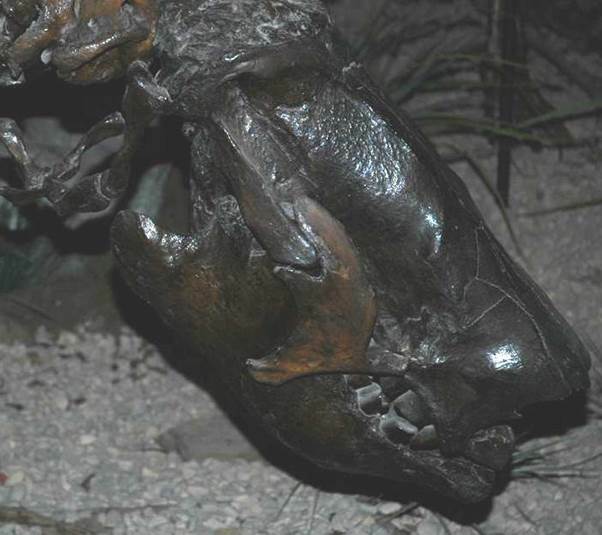 Paramylodon harlani Owen, 1840 (above & below) - Harlan’s ground sloth skull from the La Brea Tar Pits (~uppermost Pleistocene) of Los Angeles, southern California, USA. Paramylodon harlani Owen, 1840 - reconstruction of Harlan’s ground sloth (Carnegie Museum of Natural History, Pittsburgh, Pennsylvania, USA).